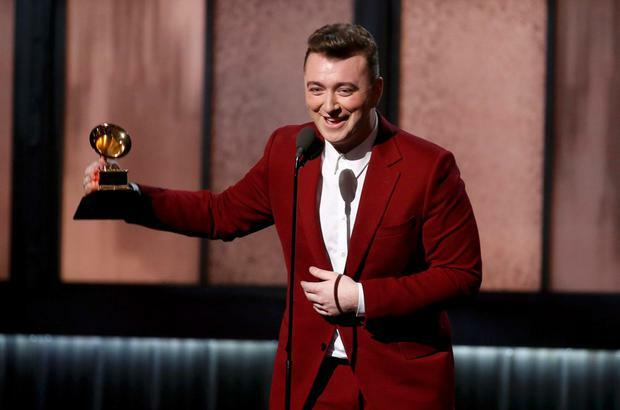 Sam Smith made a killing at the 57th Grammy Awards on Sunday. 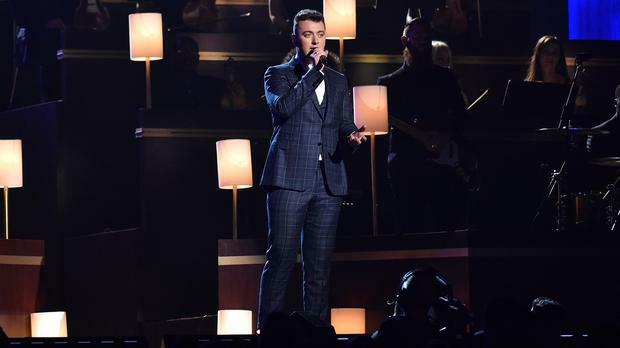 The 22-year-old singer took the world by storm when he released his debut studio album In the Lonely Hour last year. After classic rock band AC/DC opened up the ceremony with a rocking performance, Taylor Swift took the stage to present the Best New Artist Award. Several heavy hitters were nominated in the category including Iggy Azalea, Bastille, HAIM and Brandy Clark, but Sam came out the winner. 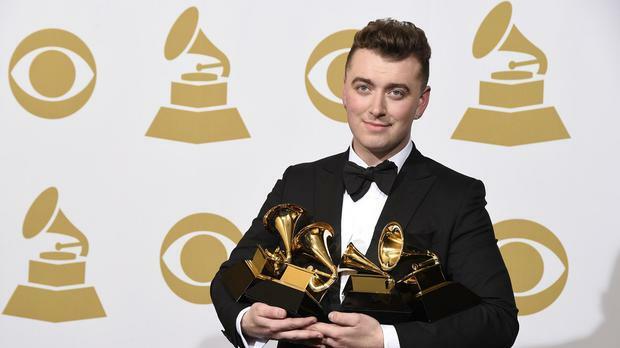 Sam also picked up the Song of the Year gong for Stay with Me (Darkchild Version), the Record of the Year award and the Best Pop Vocal Album trophy, beating out Miley Cyrus, Coldplay, Ariana Grande, Katy Perry and Ed Sheeran. The humble star gave a candid speech as he graced the stage for this award. "Before I made this record, I did everything to try and get my music heard. I tried to lose weight and I was making awful music. It was only when I started to be myself that the music started to flow and the people started to listen," Sam recalled as he picked up his prize. Sam, Beyoncé Knowles and Pharrell Williams won the most nominations on the night, receiving nods for six awards each. Pharrell performed a riveting rendition of his hit song Happy at the ceremony and he also won Best Solo Pop Performance, Best Music Video and Best Urban Contemporary Album categories for his record, G I R L.
Pharrell attempted to moonwalk off the stage really quickly after accepting his Best Solo Performance trophy, but not before he acknowledged his fellow nominees John Legend, Sia, Sam Smith and Taylor Swift. "I'm not going to make this awkward and long. I was so prepared for everybody else, who is so talented, to walk away with that award. I'm honoured to be grouped with them,” he said. There were over 20 performances at this year’s Grammy Awards, with Ariana Grande, Kanye West, Rihanna, Paul McCartney, Annie Lennox, Ed Sheeran, Mary J. Blige and other music legends taking the stage. Madonna put on a swinging matador-themed show while belting out her new song, Living for Love. The pop icon seemed to recreate scenes from her music video for the tune live onstage. Her dancers donned goat horns and bedazzled crystal masks before Madonna literally floated into the air at the end of the show. Several other notable performances took place, including a classic jazz duet between Lady Gaga and Tony Bennett, who took home Best Traditional Pop Vocal Album for their record, Cheek to Cheek. The 57th Annual Grammy Awards were hosted by LL Cool J for the fourth year in a row. The ceremony took place in Los Angeles at the Staples Center.